R.E. 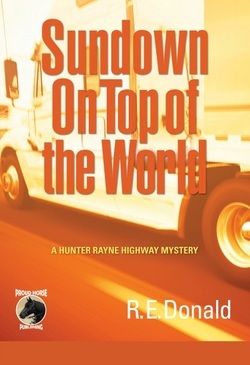 Donald is the author of the Hunter Rayne Highway Mysteries series. 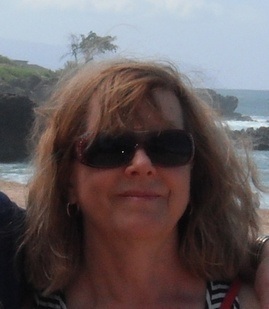 Ruth worked in the transportation industry in various capacities for 25 years and draws on her experience in creating the realistic characters and situations in her novels. Ruth attended the University of British Columbia in Vancouver, B.C., where she studied languages and creative writing to obtain a Bachelor of Arts degree. She currently lives on a ranch in the South Cariboo region of B.C., where she and her partner, Gilbert Roy, enjoy their Canadian Horses (Le Cheval Canadien) and other animals. During what was supposed to be a few days of skiing at the Whistler Mountain resort with an attractive female acquaintance, former homicide detective Hunter Rayne finds himself the prime suspect in the RCMP's hunt for "The Chairlift Killer". Hunter has no choice but to get involved in the investigation in order to clear his name. Meanwhile, trucker Hunter was scheduled to haul a load of freight to Northern California, so he calls up his old friend, biker Dan Sorenson, to take his place behind the wheel. What connects the badass biker from Yreka, California to the most prolific female serial killer in US history? And what happens when dispatcher El Watson ignores Hunter's warning and sends the biker on a search for clues to the motive behind the murder? In the midst of the investigation, Hunter's life gets complicated when the progress of his new relationship is hampered by the appearance of a woman from his troubled past. 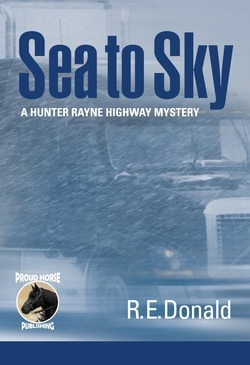 Sea to Sky is the third novel in the Hunter Rayne highway mystery series. When a well-respected truck driver, the owner of a family trucking business, is found dead in his truck down a steep embankment along the Coquihalla highway that winds through the mountains in British Columbia, his distraught daughter wants to know how and why he died. Not long afterwards, while driving the same highway, her husband’s brakes are tampered with, almost creating another fatal accident on a treacherous incline, This compels Hunter Rayne, a fellow trucker and retired RCMP detective, to help her find answers. 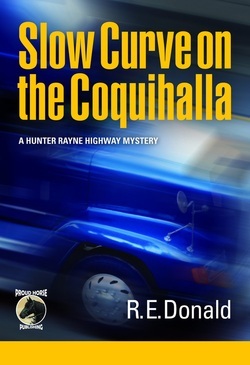 Slow Curve on the Coquihalla is the first in a traditional mystery series featuring "semi-" professional sleuth, Hunter Rayne. After serving over 20 years in the Royal Canadian Mounted Police and becoming a skilled detective, Hunter resigned from the force and took to the road as a long haul trucker. His ex-wife is convinced he is running away from the personal tragedy that made him leave a job he loved. Hunter himself doesn’t know why, he only knows he has to keep following the white lines. 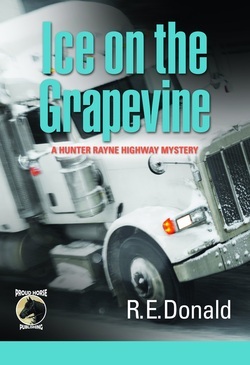 Ice on the Grapevine is a traditional mystery featuring Hunter Rayne, a retired homicide detective turned long haul truck driver. The story opens on a July morning with the discovery of a frozen corpse at a brake check just south of the Grapevine Pass in L.A. County. Hunter, who is in southern California making a delivery, is persuaded by his irascible dispatcher, Elspeth Watson, to help clear two fellow truck drivers who are arrested for the murder. His job is made more difficult by the fact that the suspects, a newlywed couple, won't speak up in their own defence. The circumstantial evidence is strong, and a rookie detective from the L.A. County Sheriff's Department is eager to score a win. The investigation crosses the Canada-U.S. border when the victim is identified as a second rate musician from Vancouver, and it turns out there were more than a few desperate people happy to see him dead, including the accused couple. Hunter has to use all his investigative skills to uncover the truth. Hunter’s ex-wife maintains that by taking to the highway Hunter is running away from his past, but he believes that the solitude of days on the road is helping him to heal from guilt over the failure of his marriage and the suicide of his best friend. His life gets more complicated when he feels an unwelcome attraction for a lawyer representing one of the accused. Tangled relationships and multiple suspects emerge throughout the novel, as Hunter butts heads with more than one officer of the law to solve the crime. Reawakened memories of his past coupled with a recent murder find Hunter back in investigative mode with the blessings of Whitehorse RCMP boss Bartholomew Sam, son of a shaman and Hunter's old friend. He finds himself searching the banks of the mighty Yukon River for a tough old bush woman who may hold the key to more than one bloody death. It's a vivid reminder that the breathtaking beauty of the northern wilderness camouflages its brutal indifference to human life.